Metal chrome housing, 3.5" lens with Ion glass lens. Shallow 2" depth for flexable mounting. Std. 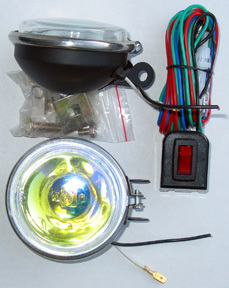 H3 55 watt bulb. Pivot mount allows for adjustable angle.